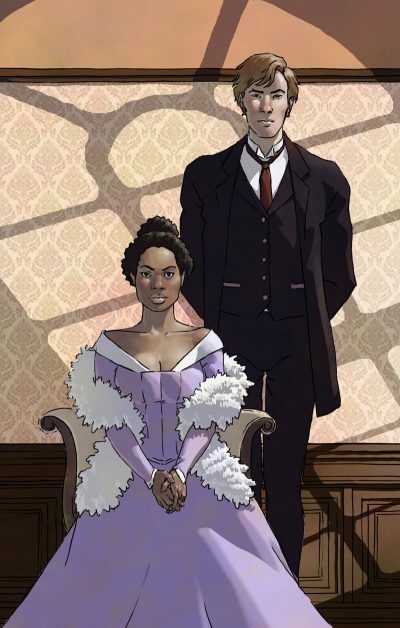 When I began The Heart of the Hollow World I had no idea I was writing an interracial love story set in the 1890s. My intention was to pay homage to the works of Edgar Rice Burroughs and H. Rider Haggard, and fulfill a promise I made to my fifteen year old self. But the most rewarding part of the creative process is allowing the narrative to take you somewhere you did not expect. I thought this story would be an excuse to draw dinosaurs, cavemen, airships and giant robots. I am not sure at what point it became the adventure of a man who goes to the center of the Earth looking for the most beautiful woman in the world only to realize he brought her with him. 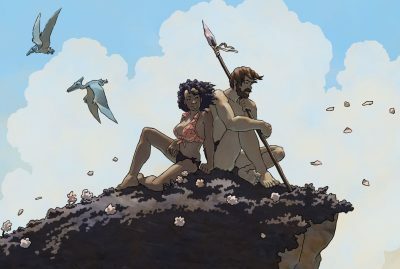 Although this is my first interracial love story (I can’t count a romance between a boy from Earth and a girl from the Moon, or a human and a cyborg can I? ), I hope that the conclusion of Hollow World is only the beginning for Emery and Pru, and that they continue to explore uncharted territory and discover new worlds together. Great story, fantastic artwork. Looking forward to your next venture. I’m getting a 404 error on all the Library entries, and I don’t see any updates in over a year, although the copyright watermarks appear to have updated. 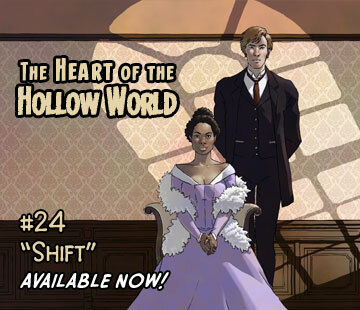 The art and stories are amazing, and this Hollow World series was probably my favorite! Hey there Adam, thank you for contacting us with your concerns. I’m the Project Manager (Gustavo) for Doug Lefler and I’d like to let you know that just a few days ago we moved everything from one server to the other (this means around 5 websites, including Scrollon.com) and things didn’t go as smooth as planned but the fixes for the scrollons in this website should be up by the time you read this and no more 404’s. Please let me know if you find anything else broken and I’ll gladly check it out and fix it, I appreciate your patience with this and your contribution. Thanks!